Whenever the word, "hemp" is mentioned in a crowded room, visions of illegal drugs dance in the heads of many, but this common first impression couldn’t be further from the truth. 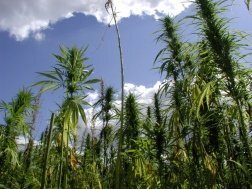 The technical term for hemp is Cannabis sativa L, and although it originates from the same plant genus as marijuana, the strains of the plant are much different than the horror stories you hear about marijuana. This crop possesses its own magic with the ability to cast spells over the industrial and consumer product world in a manner that is easy on the planet. Unfortunately, most of the benefits associated with it are publicly unknown, overlooked, and often overshadowed by the negativity caused by its plant cousin. The concept and use of cannabis sativa L is not a new one, as the earliest known woven fabric was fashioned from the plant during 8,000-7,000 BC. The following 1,000 years before the time of Christ would see cannabis as one of the largest agricultural crops, responsible for a multitude of common products. Hemp was the prime fiber in ancient times, as inhabitants were able to create fabric, lighting oil, incenses, paper, and medicine. The plant also served as a main source of essential food oil and protein for both humans and animals. Over the years, thousands of products have been produced using this versatile crop, including the ship sails of the Phoenicians; 1st century Chinese inventions; 15th century maps, logs, and shipping charts during Columbus' time; and various Western European items from the early 1900's. Up until 1820 in America and the 20th century in other countries, an estimated 80% of all textiles and fabrics were a product of cannabis fibers. This included bed sheets, rugs, baby diapers, and even the proud flag of the United States. The stalk also became quite significant in the world of seafaring exploits. 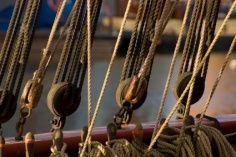 The plant was used to make anchor ropes, cargo nets, and fishing nets. The sailors wore clothing made from cannabis, which included the stitching of their nautical threads to the canvas shoes that shuffled across the deck floor. Interestingly, the word "canvas" is actually the Dutch pronunciation of the Greek word, "Kannabis." Today hemp is used as a food source, such as hemp hearts, hemp oil, and hemp protein powder. It's also used to make clothing, fuel, candles, crafts, building supplies and so much more. I promise to use it only to send you The Hemp Lowdown.